The Princes of Liechtenstein have been passionate art collectors since the sixteenth century. Recently, highlights from their collection have been shown in Japan, (Tokyo, Kochi and Kyoto), Singapore, China (Beljing, Shanghai) and Moscow. 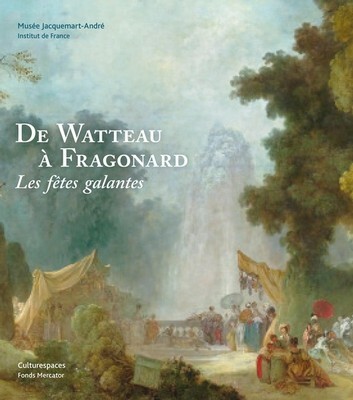 In autumn 2015, masterworks from this collection will make a stop in Aix-en-Provence, at the Hôtel de Caumont, thus creating an occasion for a prestigious exhibition catalogue. 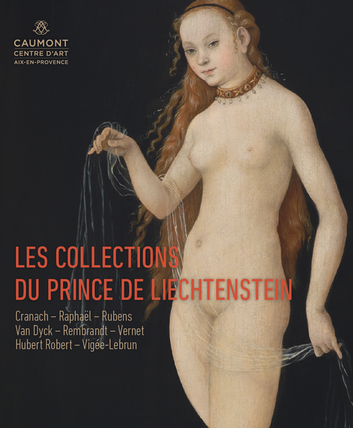 The Prince of Liechtenstein’s collections are some of the largest in private hands, and are also among the most vibrant, since Hans-Adam II, the reigning prince, is an avid collector. 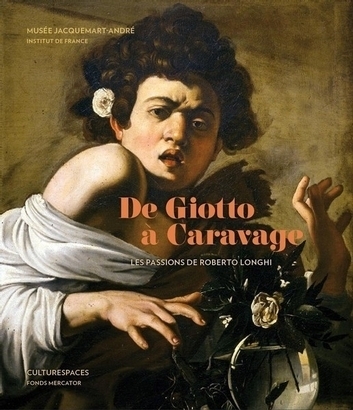 The Hôtel de Caumont exhibit introduces the viewer to the discriminating taste of this princely family, through a selection of works from the fourteenth to the nineteenth century. 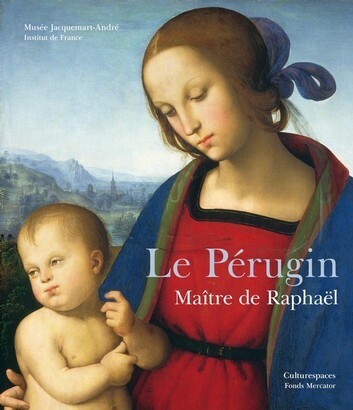 The catalogue begins with treasures from the late Middle Ages, including Lorenzo Monaco’s Virgin with Child (ca. 1420) set against a gold background. After this spiritual period, starting in the sixteenth century, there was a shift in Renaissance aesthetics. Lucas Cranach the Elder’s extraordinary Venus (1531) and Saint Christopher manifesta style that is more incarnate and natural. Artists began to focus on human beings, as reflected in Raphael’s Portrait of a Man (ca. 1502–1504) or Quentin Massys’s The Tax Collectors (after 1501). Antiquity became a source of inspiration, whether in mythological paintings (Hans von Aachen, Diane and her Nymphs at Rest after the Hunt, ca. 1602) or reflections on ruins (Herman Posthumus, Landscape with Roman Ruins, 1536). 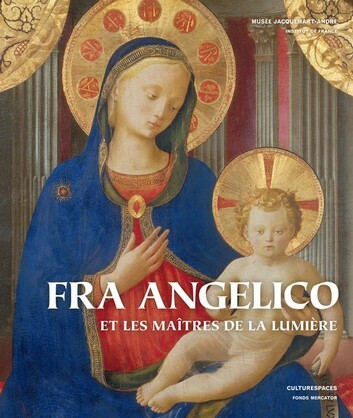 In the seventeenth century, artists began to depict light as never before. Matthias Stomer was a master of chiaroscuro; in his contemplative scenes the only light appears to emanate from the baby Jesus (Adoration of the Shepherds, ca. 1640–1650). By contrast, light’s brilliance expresses itself in strong, stident tones (Cristofano Allori, Judith With the Head of Holofernes, 1613). Rubens is one of the master artists of this century. Readers will be able to appreciate, among others, Mars and Rhea Silvia – a masterwork that has been in the Princes’ collections since 1710 – alongside its preliminary sketch, acquired in 1977. The seventeenth century is also known for its re-assessment of genres once considered minor, including portraiture, genre paintings that display a moment of everyday life, and still lifes. The collections have extraordinary holdings in these areas as well, with an early Rembrandt (Cupid with the Soap Bubble), Frans Hal’s Portrait of a Man and three Van Dyck portraits, as well as depictions of musical scenes and feasts in the Flemish tradition. The exhibition draws to a close with the eighteenth and early nineteenth centuries. Giovanni Paolo Pannini (Capriccio with the Most Important Monuments and Sculptures of Ancient Rome, 1735) and Hubert Robert (Capriccio with the Pantheon and the Port of Ripetta, 1761) are sources of monumental landscapes inspired by Antiquity. Joseph Vernet’s The Bathers conveys a more exotic vision, invoking heat and a languorous atmosphere. The exhibition concludes with a depiction of nineteenth-century Viennese aristocratic society, at once florid and sensual, intimate and precious.